Electrostatic discharge (ESD) is the sudden flow of electricity between two electrically charged objects caused by contact, an electrical short, or dielectric breakdown. The ESD occurs when differently-charged objects are brought close together or when the dielectric between them breaks down, often creating a visible spark. Lightning is actually a large-scale ESD event. ESD can damage sensitive electronic devices and therefore specifically in manufacturing of printed circuit boards or other quality control of electronics, ESD safe microscopes are required. Electronics manufacturers establish electrostatic protective areas free of static, using measures to prevent charging. ESD Safe stereo microscopes are used in these manufacturing environments. 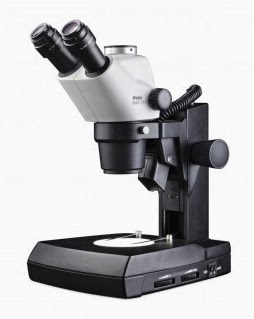 View a variety of ESD safe microscopes here.